Owners of OnePlus and Meizu smartphones may find that their handsets aren’t quite as speedy as they might have expected based on benchmark results after both manufacturers were found to be cooking the books, making their handsets produce artificially inflated scores when popular benchmarking apps are used. The discovery, courtesy of XDA-Developers and impacting the OnePlus 3 and 3T as well as the Meizu Pro 6, will come as a shock to those who own the phones, not to mention anyone researching them with an eye to placing an order. According to XDA-Developers, both OnePlus and Meizu have been caught red-handed for having their smartphones crank their CPUs into top gear whenever a benchmark is being run, allowing for inflated results to be generated, which may not be in line with real-world performance experienced with those devices. 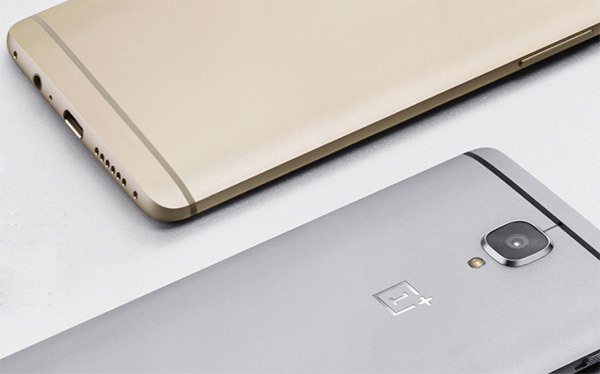 Whilst the two companies go about things in a different manner, the results are still the same – benchmarks for the OnePlus 3 and 3T and the Meizu Pro 6 cannot be relied upon. Quite how the cheating goes on differs across the two manufacturers. With OnePlus, for example, its big and small CPUs usually run at 0.31GHz for normal applications, but the processing power of both cores is bumped to 1.29GHz for the big chip and 0.98GHz for the small one once the system detects that a benchmarking app is being used. OnePlus has hard-coded the names of many popular smartphone benchmark apps into its software to ensure nothing slips through, too. Meizu’s phones are similarly set up to power up both of its big cores once benchmarking is taking place, whereas those chips may not usually be used during normal operation. This ensures the best possible speeds are achieved during the running of benchmarks, despite the fact that those speeds may rarely be achieved during day-to-day use. OnePlus has at least admitted that it has been fast and loose with its practices and has promised to stop being so disingenuous. In order to give users a better user experience in resource intensive apps and games, especially graphically intensive ones, we implemented certain mechanisms in the community and Nougat builds to trigger the processor to run more aggressively. The trigger process for benchmarking apps will not be present in upcoming OxygenOS builds on the OnePlus 3 and OnePlus 3T. Those with long memories may remember Samsung also being found to be doing similar things with the Galaxy S4 back in the day in addition to various other smartphone makers. Whether they’re fudging the figures or simply making sure their hardware is shown in the best possible light is debatable, but we’ll let you make your own mind up on the relevance of such benchmarks in the first place. Samsung Galaxy Devices That Will Get Android 7.0 Nougat Confirmed, Is Your Device On The List? And yet Apple’s SE trash them ALL in benchmarks without cheating. It’s still not exactly cheating…..
You’re an idiot and a horrid fanboy of course it’s cheating. What are the inflated scores? I consistently get about 138k which seems about right for the generation when comparing to my S7 Edge that gets 132k. And if I Google Pixel Xl I get 137k as a result. apps into its software to ensure nothing slips through, too.